The Puckett’s roots go way back to the 1950s, and a little grocery store in the village of Leiper’s Fork, Tenn. Ever since then, we’ve been focused on providing friends new and old with great food and Southern hospitality. 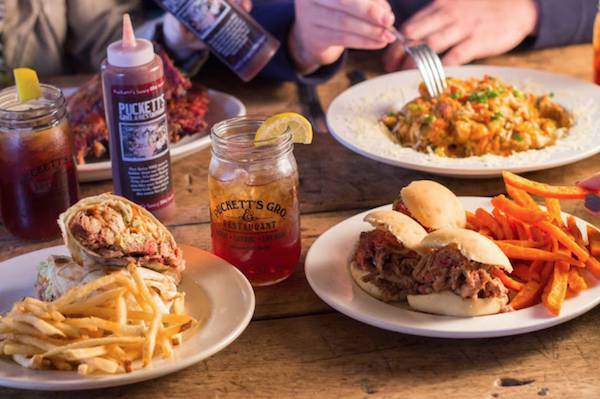 When it comes down to it, Puckett’s is a community kitchen, with live pickin’ performances just a few feet from your table. 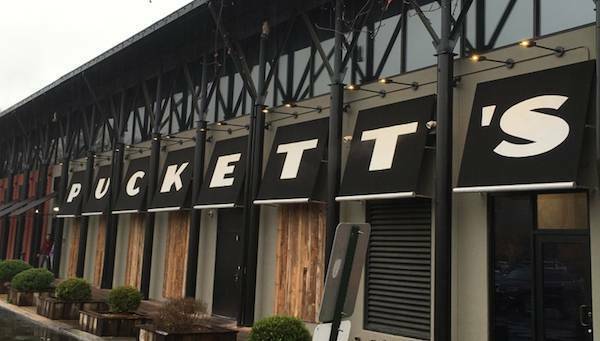 Authentic comfort food—barbecue smoked slow ‘n’ low over cherry wood, the home-cooked sides, even a few upscale dishes—is what Puckett’s aims for you to remember! Our philosophy is simple: Real Food, Real People, Real Fun. Parking Paid parking lot available. Sunday 7 a.m. - 9 p.m.